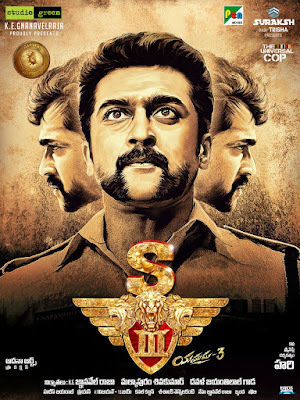 When Singam 1 was released, I felt it a good one time watch and felt the film should have left to be ended there and than. And than come something called Singam 2 which cost me 2 1/2 hours of my life which was so damn poor, justified why there shouldn't be a sequal to the film. In a nut shell, if you change a couple of the cast in Singam 2 and make minor adjustment to the story, you will get Singam 3. 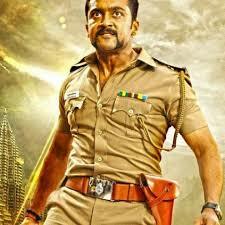 It is almost the same crap from Singam 2 except the cast selection was an upgrade. Below is a comparison between Singam 2 and 3, you see if for yourself the striking resemblance. Without a doubt, Hari is one the director I rate so poorly and maybe is next to worse after Venkat Prabhu. His only proper film for me was Saamy, staring Vikram. Apart of them it has be the same poor repeated formula in his films. For Singam 3, it was so obvious that he has ran out of ideas on how to continue to sequel. With nothing new in his mind, he basically recycled Singam 2 with a better cast selection but as usual fail to utilize the best of them. Radhika has almost to 0 relevance to the film so much so if you edit her scenes out you wouldn't realize you have missed out anything in the film. Such a shame that such top class actress was so poorly utilized. The director seemed to be using Anushka nothing more that an added baggage weight in the film. It is almost like he can't end her character and is left with no choice but to keep her in the film. I still don't understand why the so call Universal Cop is so afraid to live together properly with is wife and fear for the criminals. Shouldn't the Universal Cop be able to protect her well and secure. Nithin Sathya as the Robin Hood of hacking is displayed as some sort of zombie/ robotic machine. He almost doesn't blink his eyes when he is hacking. He seemed to be so stiff and look so unhuman when he does his hacking. Don't get why Hari doesn't actually plays him like a normal human been who is smart and hacks well. Under the name of graphics we were shown something kiddish. Those hacking scenes, phone signals, helicopter and plane flying and sudden appearance would make you laugh rather than wow you. worked under his influence. Changing the frame of the shot every 2-5 seconds will cost your audiences eyes to hurt and makes it so hard to follow what you are trying to show on screen. Finally the cinematography was nothing more than disastrous. The amount of shakiness in the shots and movement made it look like some cheap work. Some of the angels of the shot being taken makes no sense and was ever so poor. Not the mention the some of the visibility of the shots looked so damn blur. Perhaps that is his idea of creating a racy feel to the audience by changing the frame every 2-5 seconds with this time of cinematography. The only saving grace in the film is Surya screen presence. Perhaps that is the only pulling factor in the film because everything else in the film is poor. Unfortunately for him, the design of the character was already fixed in Singam 1 & 2 and there is nothing much he could change and explore in this film. His portrayal here hardly taps into 10% of what he is truly capable of. 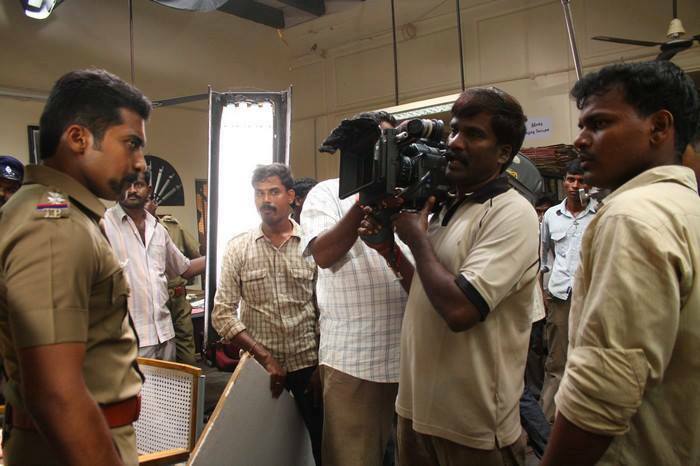 As much as I enjoy watching Surya's film, I never felt he was one who fits into a commercial mass role. He has tried it in Singam, Anjaan and Mass but it never seemed to suit him. Hope he does less of that and more which brings the actor in him out.